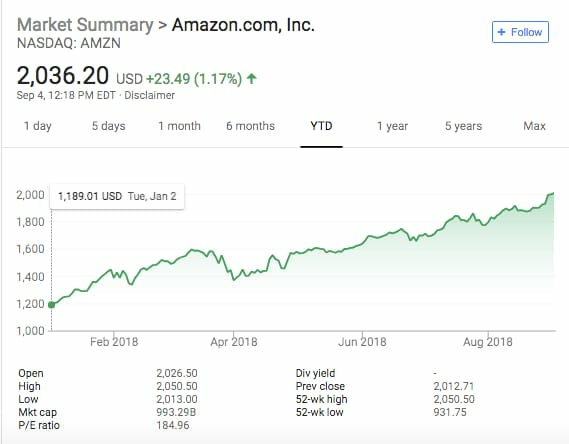 Amazon became the second company worth $1 trillion on Tuesday morning, with the tech giant hitting the milestone one month after Apple became the first to do so. A 2 percent jump in early trading pushed Amazon past the $2,050.27 per share mark it needed to hit a $1 trillion valuation. Shares dipped slightly afterwards, but were still up about 1 percent on the day. The Seattle-based company has enjoyed a banner year so far, with Amazon’s shares surging by more than 70 percent in 2018. 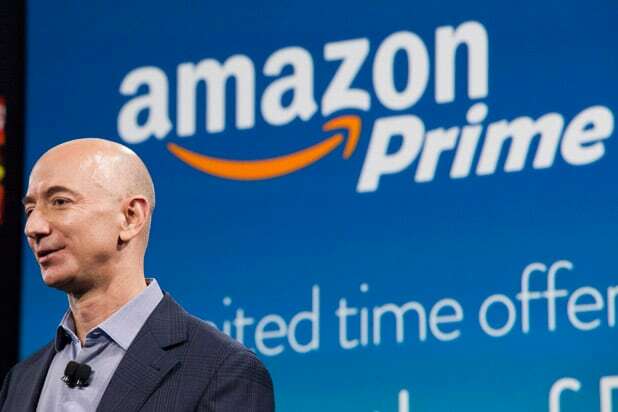 Amazon reported in July it hauled in $52.9 billion in revenue during the second quarter, along with a record $2.5 billion in profit. Once a digital go-to spot for books, Amazon has morphed into a powerhouse on several fronts, from entertainment to cloud services to advertising.